With an outbreak of sickness linked to bacteria-tainted cantaloupe now reported in more than a dozen states, here's a quick backgrounder on listeria monocytogenes. 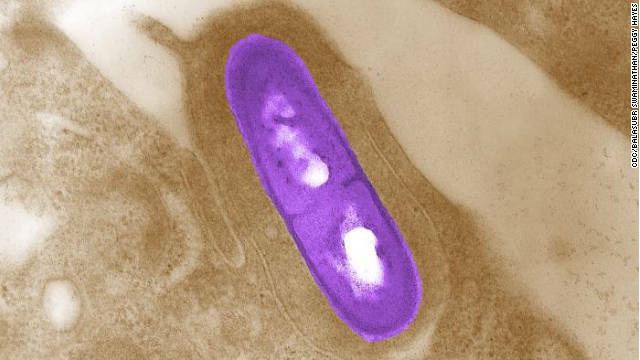 Listeria monocytogenes is a “hardy” bacterium that is resistant to extreme hot and cold. This bacterium is pathogenic – meaning that it is infectious to humans, causing the illness listeriosis. Listeria is found in soil, water and the intestines of some animals. Unfortunately, most animals show no symptoms so the bacterium is transferred to raw foods such as unpasteurized dairy products, raw vegetables and raw meats. And unlike similar types of bacteria, listeria can grow in the low temperatures of a refrigerator. Studies also suggest that up to 10% of humans may be carriers. The FDA says that when listeria gets into a factory environment it can live for several years. But how did it get inside of cantaloupes? Cantaloupes and other fruits with porous surfaces can become infected by listeria when soil and/or water seeps through their skin. Any bacterium that remains on the outside can be transferred from the shell to the inside when the fruit is sliced open by a knife or handled.